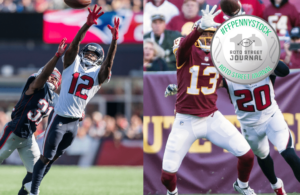 The Bills made surprising waves during 2019 NFL Free Agency when they added the vertical speedster in John Brown and the quick Cole Beasley to aid Josh Allen in year two. Although the two won’t help in the height department on the perimeter, Brown is one of the league’s premiere deep threats, while Beasley will hopefully make Allen’s life easier over the middle. These two additions, along with the development of Robert Foster and Zay Jones, propel Allen’s ‘Surrounding Talent’ score up a few points, which will only help the second year signal caller. 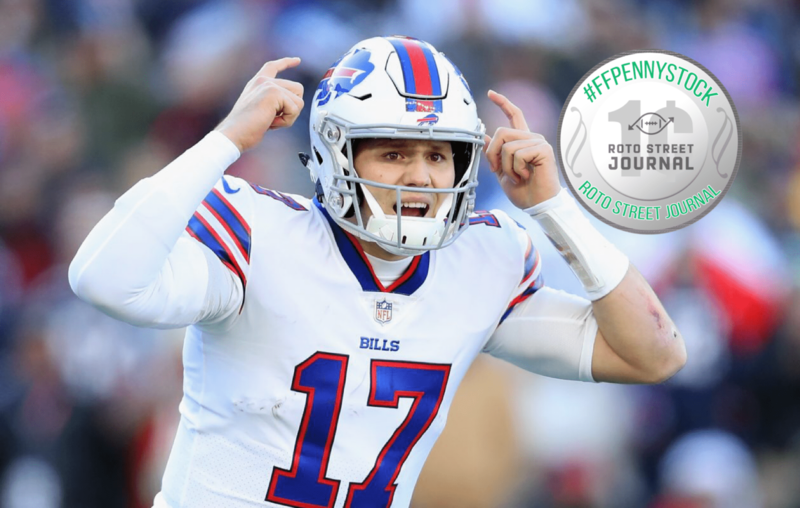 Allen, last year’s fantasy QB2 from Week 12-on (yes, QB2, that’s not a typo), will be one of fantasy’s sneakiest Penny Stocks available for a late-round dart throw that could win you a handful of weeks throughout the 2019 season. 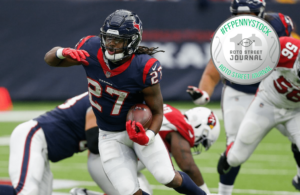 All that speed on the perimeter will be targeted often, since Allen threw the ball 20-plus yards down the field a whopping 19 percent of the time — which was the most in the NFL. He also led the league in air yards per attempt, which is Brown’s specialty, utilizing that 4.34 speed. Even though Allen totaled most of those points in 2018 from Week 12-on, on the ground. 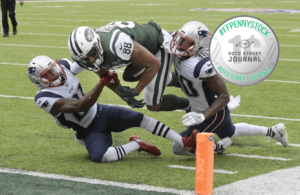 Just imagine all those potential leg points in 2019 with the potential air points coming from the wide receiver additions, we might actually have ourselves the perfect good-fantasy, bad-real life quarterback on our hands. Don’t laugh, please.